Here is a list of top tourist attractions in Central African Republic. Only the topmost tourist destinations are presented here. To see other destinations, please check the images from Central African Republic section. Curious if any of these place from Central African Republic made it our best tourist attractions in the world list? Read the aformentioned article in order to find out. You can also view all tourist attractions in Central African Republic and other countries on our tourist attractions map. Manovo-Gounda St.Floris National Park is a national park and UNESCO World Heritage Site located in the Central African Republic prefecture Bamingui-Bangoran, near the Chad border. It was inscribed to the list of World Heritage Sites in 1988 as a result of the diversity of life present within it. Notable species include black rhinoceroses, elephants, cheetahs, leopards, red-fronted gazelles, and buffalo; a wide range of waterfowl species also occurs in the northern floodplains. The site is under threat due to its rare wildlife dying and animals species being wiped out. The site was added to the List of World Heritage in Danger after reports of illegal grazing and poaching by heavily armed hunters, who may have harvested as much as 80% of the park's wildlife. The shooting of four members of the park staff in early 1997 and a general state of deteriorating security brought all development projects and tourism to a halt. 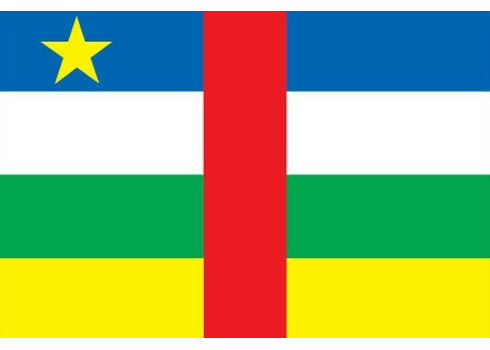 The government of the Central African Republic proposed to assign site management responsibility to a private foundation. The preparation of a detailed state of conservation report and rehabilitation plan for the site was recommended by the World Heritage Committee at its 1998 session. People are working on breeding programs to revive the natural wildlife. The Bamingui-Bangoran National Park complex is a national park and biosphere reserve located in the northern region of the Central African Republic. It makes up part of the Guinea-Congo Forest biome. It was established in 1993. The Vassako Bolo Strict Nature Reserve is in the midst of the park. The Mbaéré-Bodingué National Park is found in the Central African Republic, and covers 872 km².